Amazing price In Amazing Condition! Great opportunity to get into Hiwan. 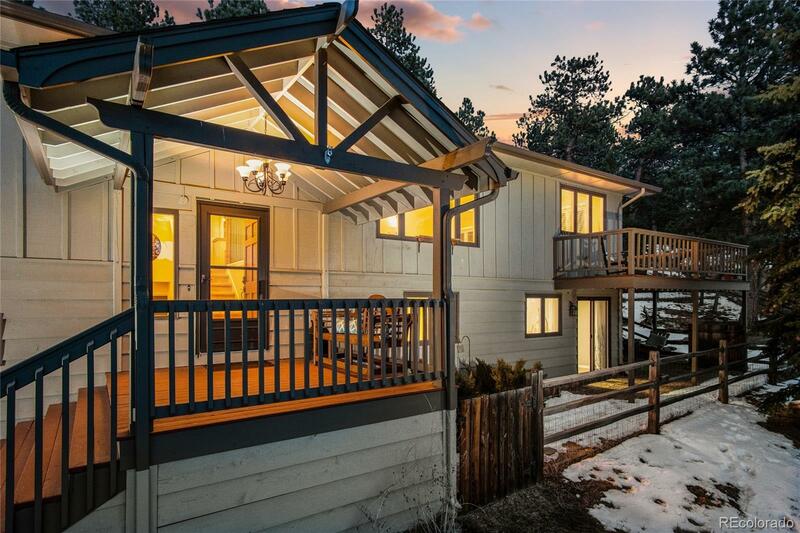 This beautiful home has a great location in Evergreen's most sought after neighborhood. Light and bright it's clean and well kept with gleaming hardwood floors and a maple kitchen with updated stainless appliances and a great layout. Enjoy the wonderful outdoor spaces easily with 3 different doors to get to the wraparound patio and wraparound decks. Large windows and a beautiful forest create a pleasing environment to kick back and relax. There's room for everyone with two different family rooms and lots of space in this efficient floor plan. The master bedroom is nicely updated with a large walk in closet and nicely appointed ensuite bath. Plus the master has quick access to the hot tub on the patio! The covered front porch is welcoming and even has a cute bench on it for enjoying the beautiful forested front yard. Overall this is arguably the best value in all of Hiwan.